Adjusting to changing weather, food, water. Common cold, flue (first stage - 2 to 3 days - opens up tissues to expel trapped air). Mild infections, bronchitis, small pox, chicken pox, tonsillitis, scarlet fever, inflammation of ears, nose, mouth, throat, thyroid, lymphatic system and brain. Nerve tension, headache, toothache, stiff neck, acute polio, arthritis, rheumatism, shoulder pain. Allergy, boils, sinus and gum infections. Menstrual difficulties with water retention, dropped uterus. First stage of stomach ulcer, indigestion. Adjusting stomach acid. Gastroenteritis. Children's problems including stomach ache, lack of appetite, headache. Bed-wetting. 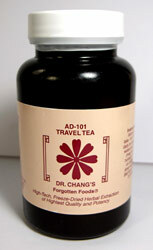 Note: May increase occurrence of skin problems such as psoriasis and acne as it expels poisons.